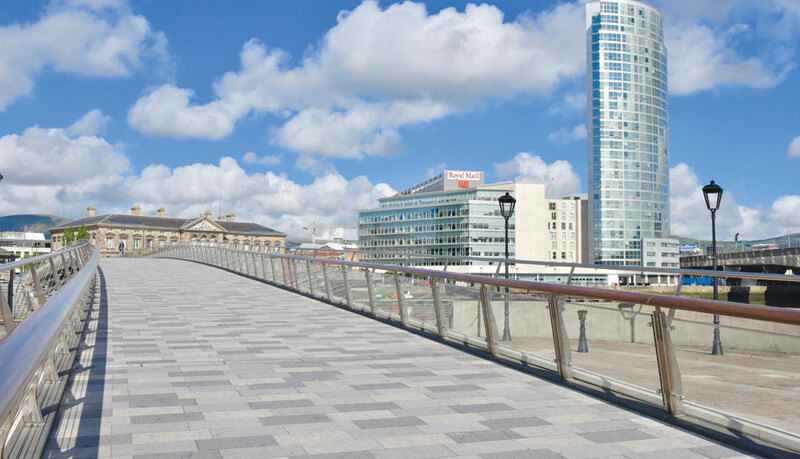 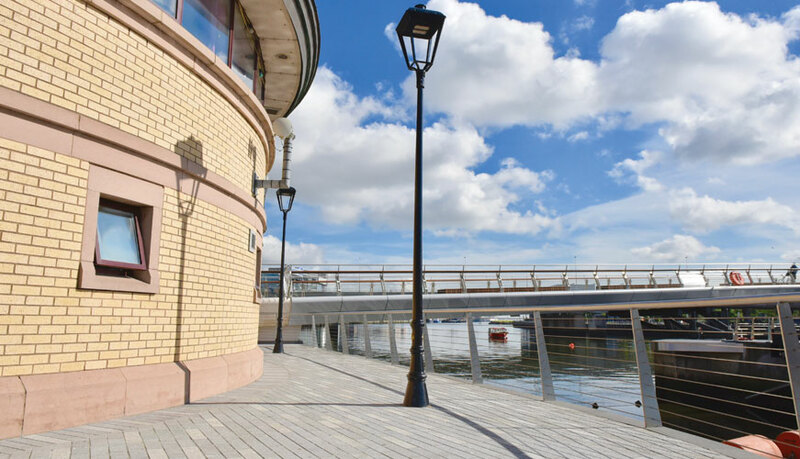 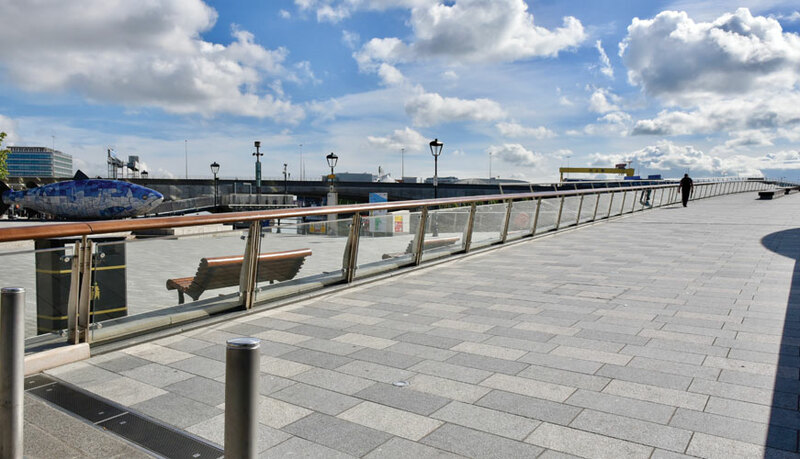 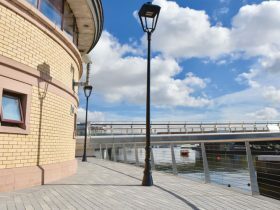 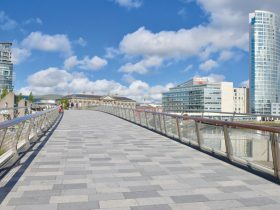 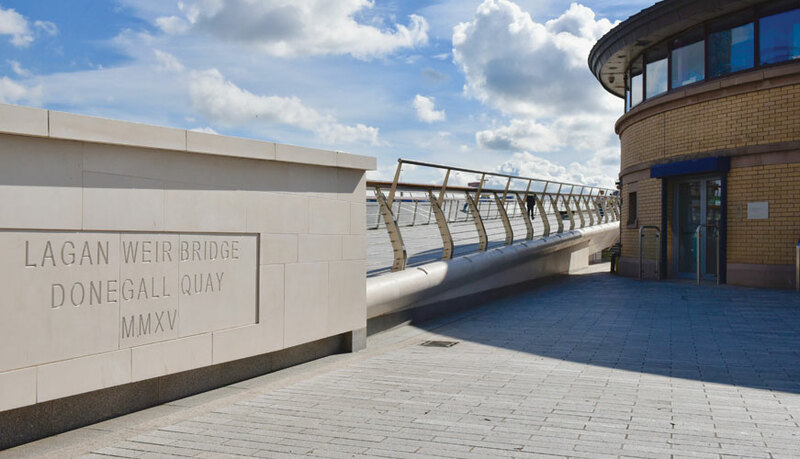 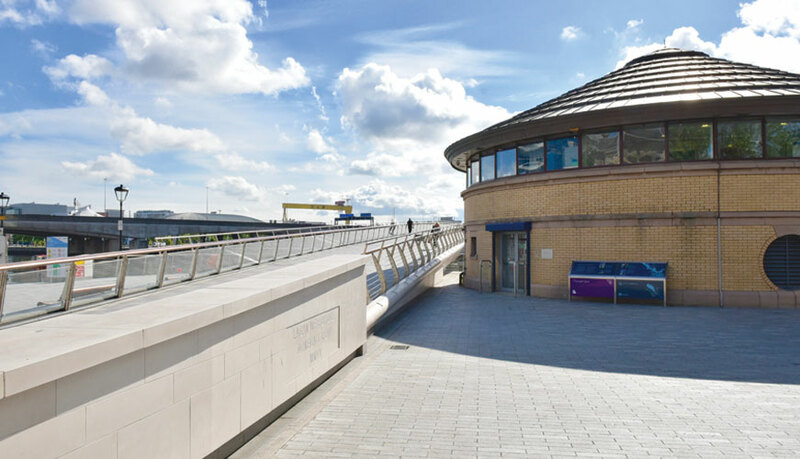 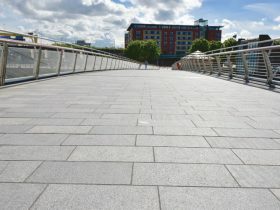 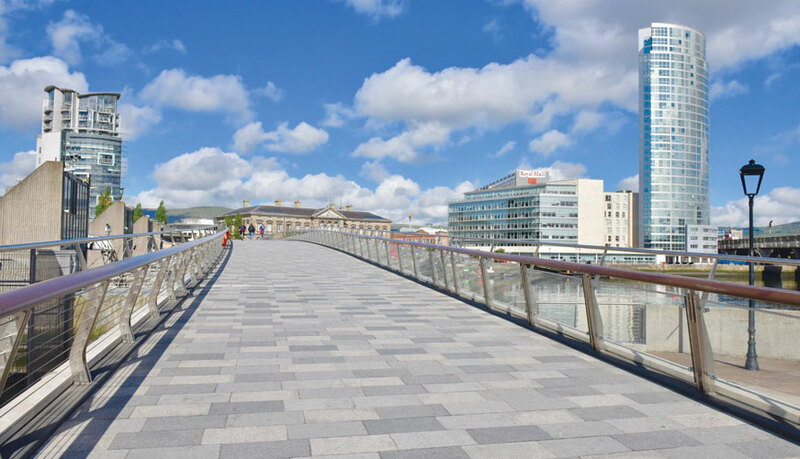 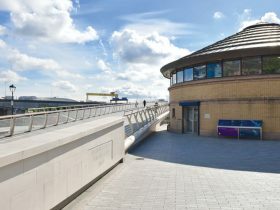 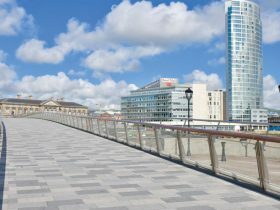 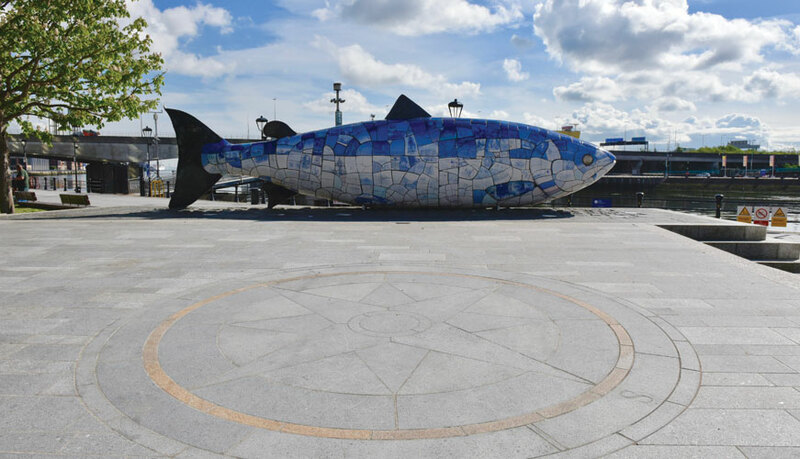 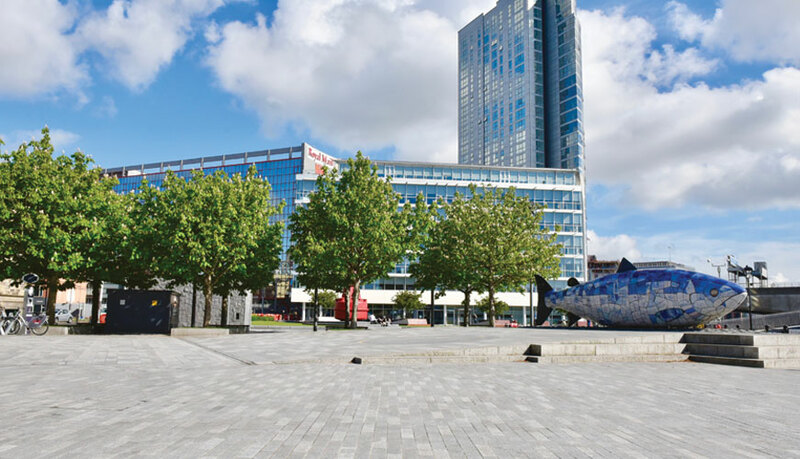 Lowry Building & Civil Engineering Ltd were appointed under the CPD Civil Engineering Framework to complete Public Realm works to the area adjacent to the Lagan Weir Footbridge and surrounding the iconic ‘Big Fish’ sculpture. 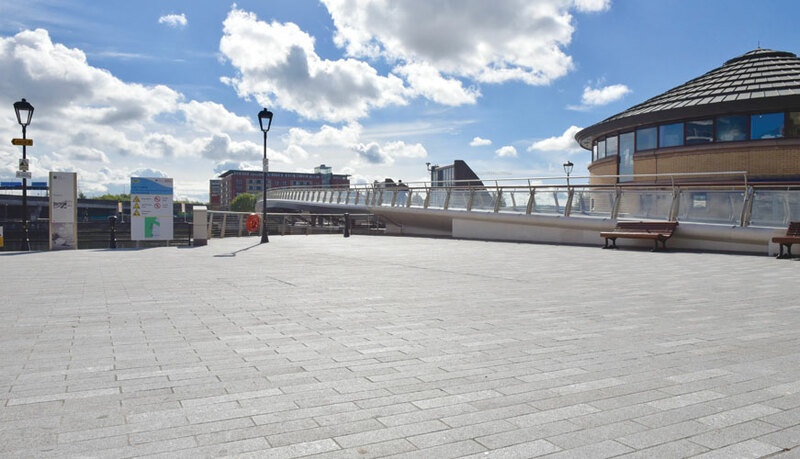 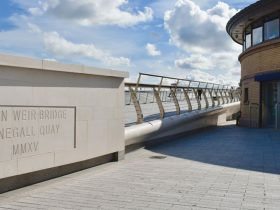 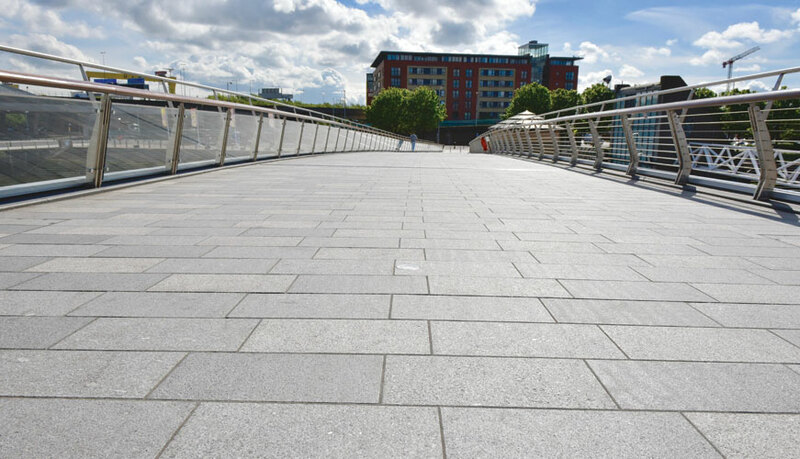 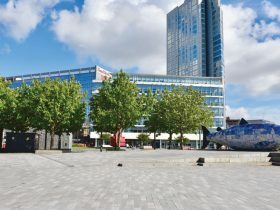 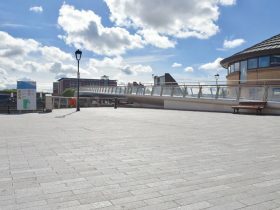 The works involved the removal of all the old bitmac surfacing and the installation of new mixed size natural stone granite paving slabs which were being laid to replicate public realm works recently undertaken in the immediate area. 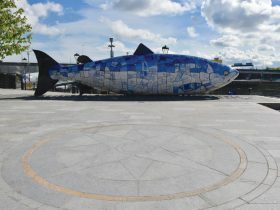 Other key works included laying new electrical cabling for feature lighting and installing a variety of light fittings such as those used to illuminate the Big Fish sculpture at night. 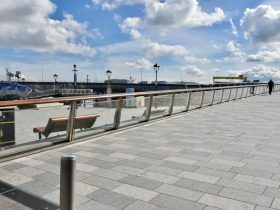 We also provided street furniture such as seating and bicycle stands to further enhance the site for tourists and visitors.